The construction industry can be conservative. But no one told that to Dynamic Steel Frame, who now hold the honour of having constructed the largest light-gauge steel (LGS) three storey apartment building in Australia using the FRAMECAD System. Located in the inner-western suburb of Yarraville, Melbourne, this three-level residential building illustrates how LGS is changing today’s approach to construction. 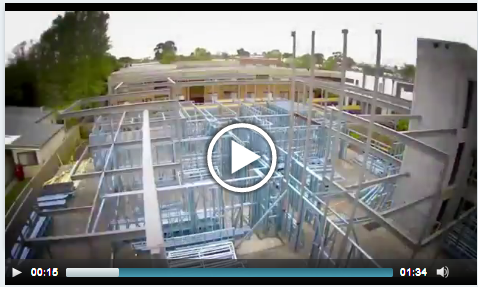 To know more on how Dynamic Steel Frame successfully conducted Australia's largest residential construction project - the Zinnia Apartments, read our case study by clicking here and/or watch the time lapse video below.